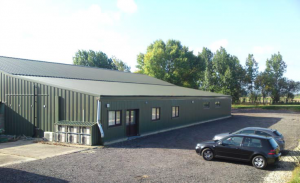 In addition to our contract farming work, we also rent offices near Leighton Buzzard, for all kinds of businesses, including office space, warehouses and storage units, and all available properties will be listed here. If there are currently no properties listed, or none that suit your needs, register your interest in online form here and you will be notified as soon as any suitable property does become available. Simply enter your name, the type of property you are interested in and when you hope to begin using it. Manufacturing facility, Leighton Buzzard, Bedfordshire. Rental Property Type: Offices, Rural Business Space. A converted farm building furbished to provide high quality office space. Storage and Warehousing, Leighton Buzzard, Bedfordshire. Rental Property Type: Storage Unit/ Workshop facility. Converted farm building with good access, lighting and security. From 200 – 8000 sq.ft.